Bay of Blue (Baia Azul) is a private, self-catering home situated in the Guinjata Bay region near Inhambane, Mozambique. This newly refurbished, fully furnished house offers two sea-facing rooms and three non- sea-facing rooms. There are three full bathrooms (all with showers) and a separate guest toilet. 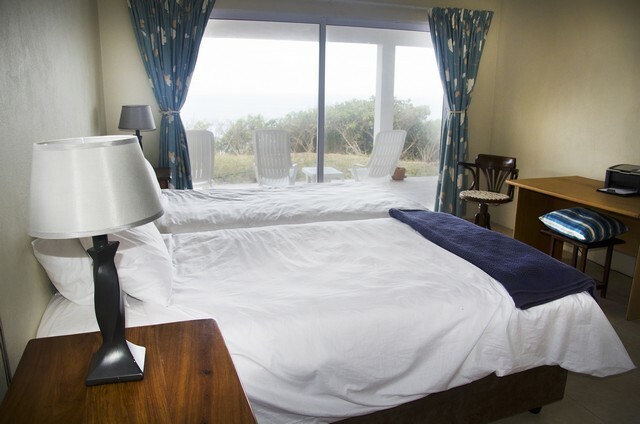 All the bedrooms are air-conditioned for your comfort. The house can accommodate 10/12 people. The lounge offers a large open plan area, including a pub, fully equipped kitchen, lounge and dining room, with a large outdoor, roofed patio overlooking the beautiful bay. 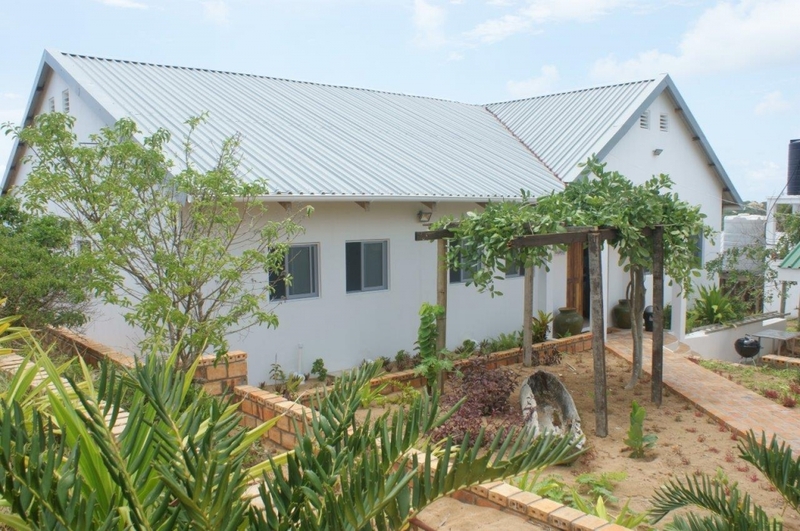 The house is equipped with gas and EDM electricity, with a standby generator in case of power shortages. There is an outside laundry area with washing machine and basin. For your convenience we offer full time staff able to take care of your every need, so you can sit back and relax. This holiday home is ideal for family and friends, where you can relax and enjoy a well-deserved break in true paradise. • Follow the dirt road for 16 km until you reach a junction (small shopping area). Keep left here and travel for a further 2 km (4x4 will be necessary) until you reach Club 5 (Bay of Blue) on your left. Beautiful white beaches offer lazy days in the sun and safe swimming areas. Water temperatures vary from 23C in winter to 30C in summer. Take leisurely strolls on safe beaches and see the wonderful variety of shells. Please be aware that driving on the beach in unallocated areas is illegal and offenders will be fined. Allocated driving areas have been marked. Please bring along lots of sun cream and hats. Deep sea fishing, fly fishing and surf fishing are excellent all year around. The warm clear water is host to a variety of billfish and other species. Marlin and Sailfish can be caught all year round. We promote the catch-and-release technique in order to conserve the marine life. There is a safe boat launch in the bay for visitors who have their own boat. Boat owners who wish to launch their own boat must be in possession of regulation safety equipment required in South Africa and have competency certificates. In addition they must carry a boat hook and a life ring. Fishing charters with local operators can be arranged. Launching and angling licences are required and can be purchased locally. The bay at Paindane, just a few kilometres down the beach, offers excellent snorkelling and one can find a large variety of coral and tropical fish. The bay is safe at low tide and the waters no deeper than 3 meters making it safe for younger children. The area offers some of the best scuba diving reefs with Manta Reef being a world renowned spot for sighting the giant Manta Ray. A wide variety of reef fish, soft and hard corals and nudibranch can be found in the clear, warm waters with excellent visability. Scuba diving schools operate from the bay and offer diving instruction and packages for all categories of diver. They have all the necessary diving equipment for hire. If you do not want to dive with the Manta Rays ,Whale Sharks, Dolphins and Humpback Whales, then take a Sea Safari and see these magnificent creatures close up from the safety of one of the dive boats. These excursions are offered by the dive schools. Visit the local market “Mercado” in Inhambane for fresh fruit, vegetables and prawns daily. Sail across Inhambane Bay in a dhow to Maxixe and enjoy lunch in Maxixe before returning to Guinjata Bay. Day trips in a yacht to Pansy Island in the mouth of Inhambane Bay can be arranged. There are numerous restaurants in the Tofo and Barra area – a day visit is well worthwhile. Tofino is also a well- known surfing area. LAM Airlines fly from Johannesburg’s OR Tambo International Airport to Inhambane weekly. We are able to offer you a collection service at an agreed rate. This should be arranged timeously with the owners. The full amount for accommodation must be paid before arrival. 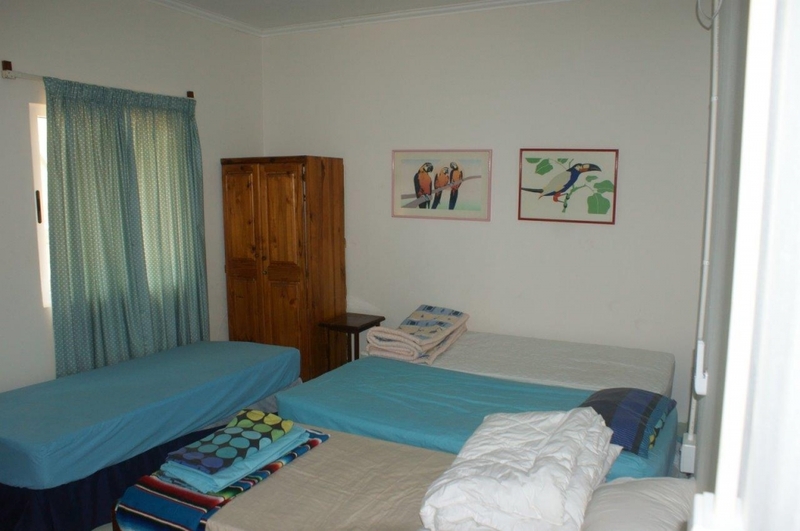 Accommodation is on a self-catering basis. You must supply your own towels (beach and bath), toilet paper, cleaning material (dishwashing liquid, washing powder) and refuse bags. There is a supermarket, “Taurus”, nearby that stocks most essential items. You may not employ any additional staff without the consent of the manager. Only house staff allowed on the premises. No hawkers allowed on the premises. Smoking in the house or bedrooms is not permitted. Travel time from Johannesburg is approximately 12 hours depending on the border. There are two restaurants on the beach and two dive centres. Rands are accepted and local currency can be drawn from ATMs in Inhambane. Mozambique is a Malaria area and precautions should be taken. 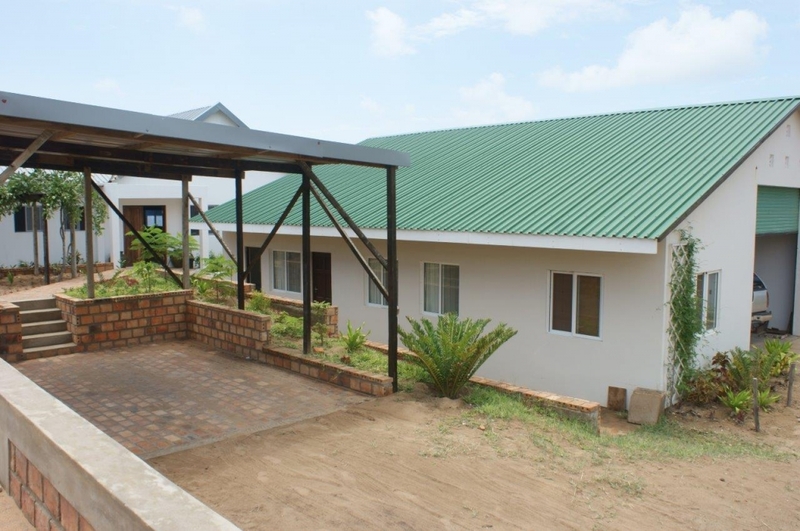 The house is available on a weekly bases from Sunday 10am to the following Sunday 10am. The house sleeps 10/ 12 people at a per person sharing and a self- catering basis. Please contact us for prices and bookings. A refundable damage deposit of R4500 is required. Please supply your banking details so that after the departure inspection any breakages/damages will be taken from the deposit and the balance refunded to you within 7 days of your departure. In the event of no breakages/damages the full amount will be refunded. Booking is confirmed once a 50% deposit is received and the balance 2 week prior to arrival at the house.